Throughout this trip villages, green hills, forest, landscapes and mountains are the main attraction and highlights of this trip, however to be in the stunning Langtang valley surrounded by high snow capped mountains is quite something, out of this world feeling, trekking in the pristine forest home of rare and elusive Red Panda with enchanting rhododendron tree lines around central Himalayan ranges, dramatic variation from sub-tropic – mediterranean to alpine climate and in stunning landscapes, daily amazing panorama views with views of mountains from Manaslu, Ganesh, Langtang and Jugal Himal, fascinating traditional mid hills Tamang and Hyalmo tribe villages of Helambu crossing a high scenic Ganja-la makes this wonderful journey worthwhile. 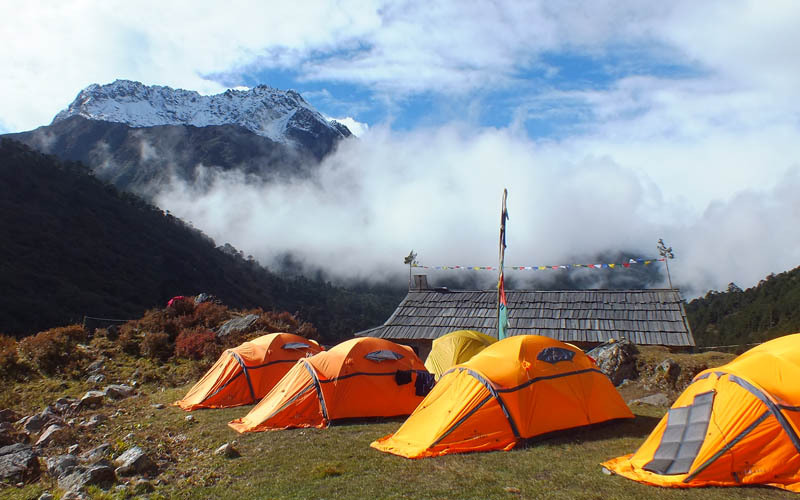 Langtang Ganja-la Trek is one of the challenging trekking route in Nepal. We need some mountaineering skill to use ropes for support to go over Ganja la pass. The pass is technically tough while ascending to Ganja-la pass (5,122 m-16,800 ft) Top. 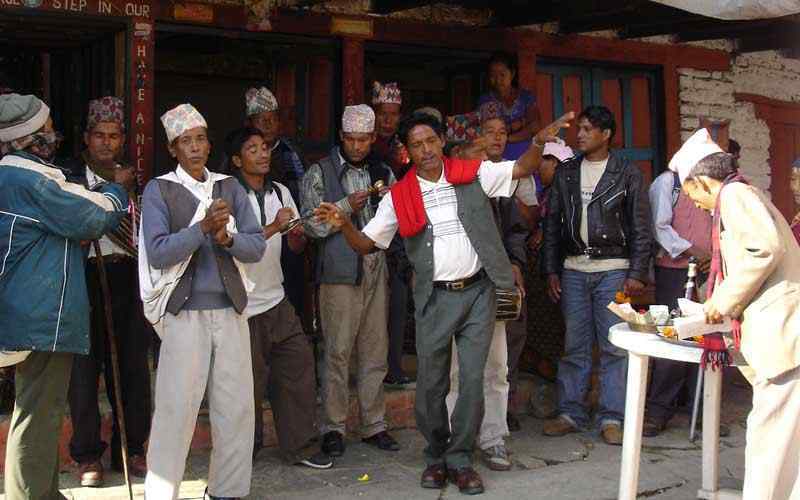 The trek to Langtang Helambu region is rich in cultural and hospitality. 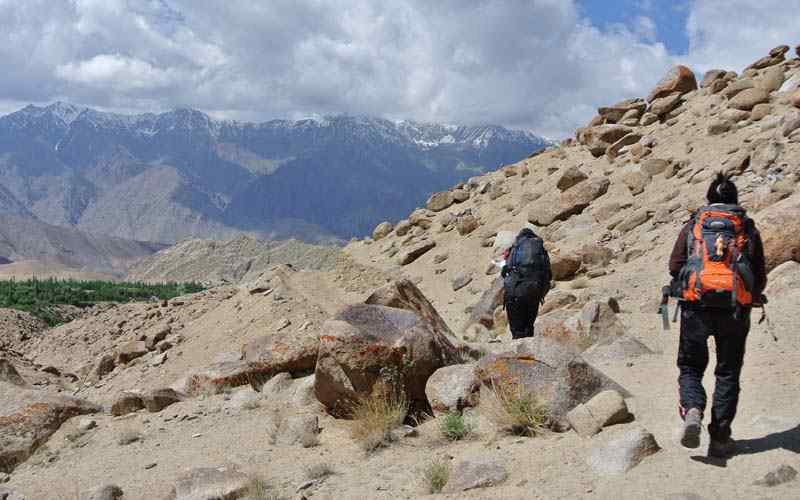 The beauty of nature and closeness of stunning mountains are live features of the trek. We start driving into north of kathmandu and follow the lovely valley and hilly range of Nepal. Langtang Ganja-la Trek starts from Syabrubesi. The trail leads through the river valley to high mid green hills villages inhabited by Tamang tribes. The journey through an enchanting forest of rhododendron, oaks, pines and fir are giving you much chance to see wildlife in the forest. The famous Red Panda can be seen around here. 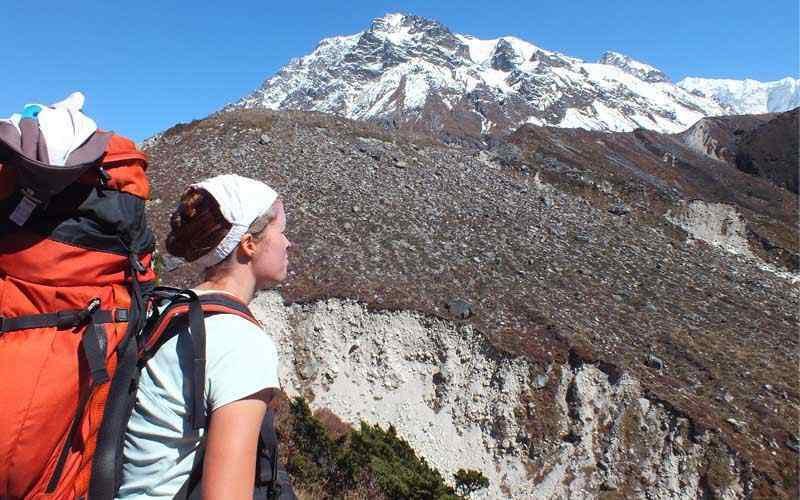 Once reach high terrain village Langtang, We do have awesome views of snow capped peaks both the side of the valley. Kanjin gumpa is a sounding place; you get amaze from spectacular scenery all around. 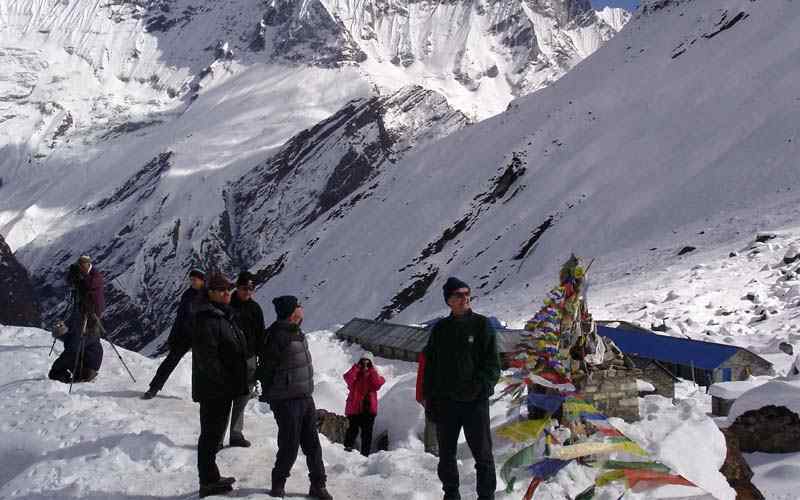 Langtang Ganja-la Trek won’t complete without visiting Chori khuri Ri a highest point to get into this trip. 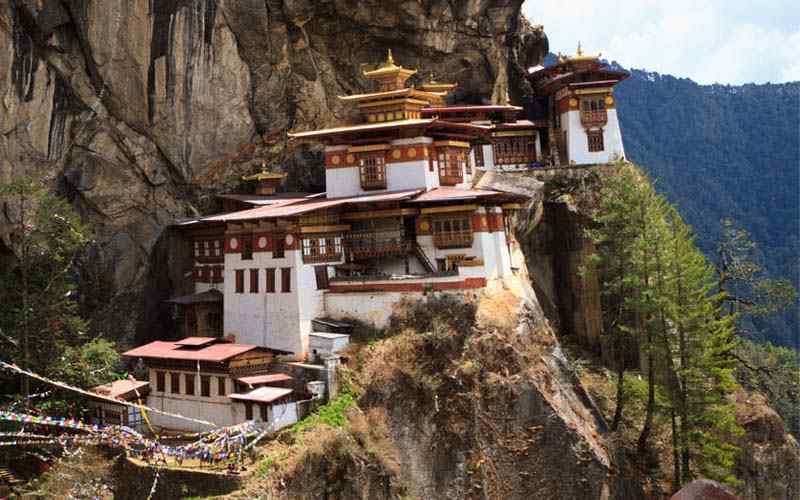 This is an amazing place to see great contrast of high Himalaya lower valley. 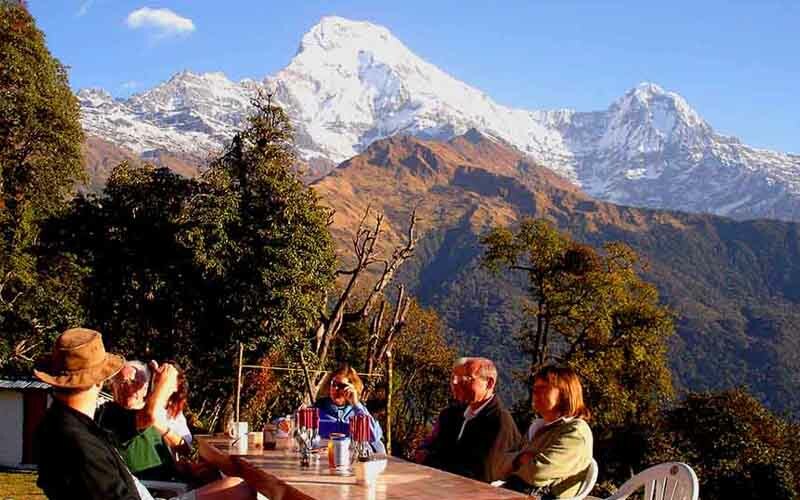 You can see eye catching view of magnificent Himalaya Ganesh Himal (7,405 m-24,295 ft), Langtang Lirung (7,234 m-23,734 ft), Ghengu Liru(Langtang II 6571 m- 21,558 ft), Kimshun (6,745 m-22,130 ft) and Shalbachum (6,918m-22,697 ft) to the south. The Chimsedang Lekh forms a ridge of peaks which includes Naya-Kanga (5,846m-19,180 ft) and Gangchempo, Tilman’s beautiful Fluted Peak. To the east upper meadows of the Langtang, a massive mountain wall, forming the frontier with world’s 14th highest MT. Shishapangma (8,013 m-26,289 ft). After a marvelous time in Langtang valley, we will move forward to go into another valley. 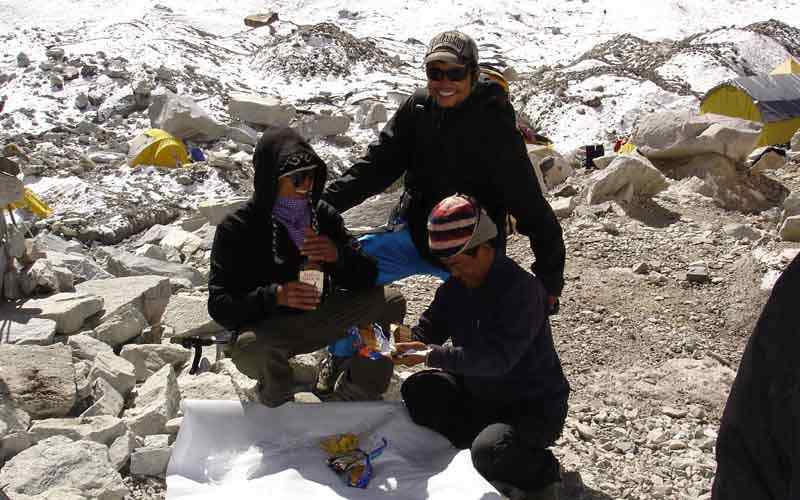 The real challenge of Langtang Ganja-la Trek begins after kaingin Gumpa. 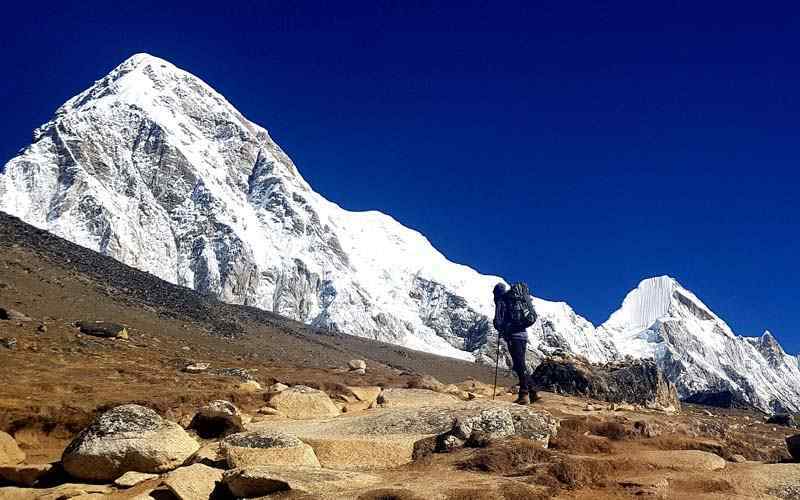 We hike to Ganja la phedi and ascend toward Ganja la pass which is technically hard and demanding to cross. Our Expert crews of Trexmount Ventures will fixed the rope and guide you to get through. We will get into Beautiful villages and lovely vegetation of Helambu region after the pass. 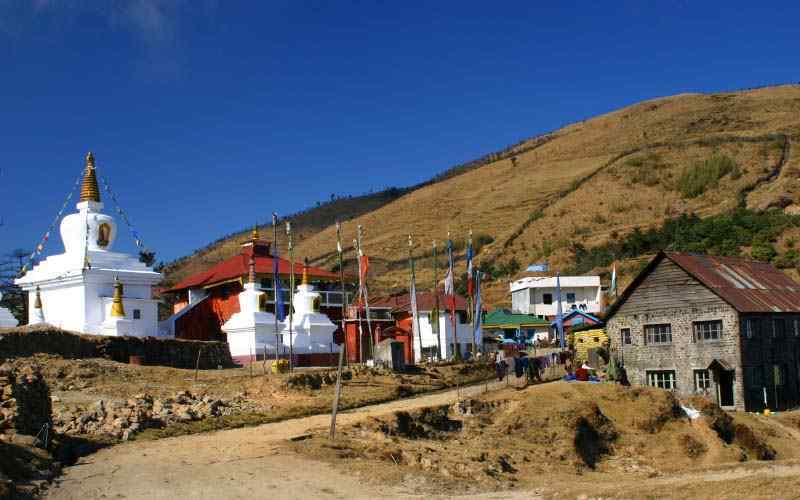 Helambu village is standing on lovely place to welcome you with its impressive culture, tradition and scenic view of hilly region. We will spend a night before heading back to Kathmandu. 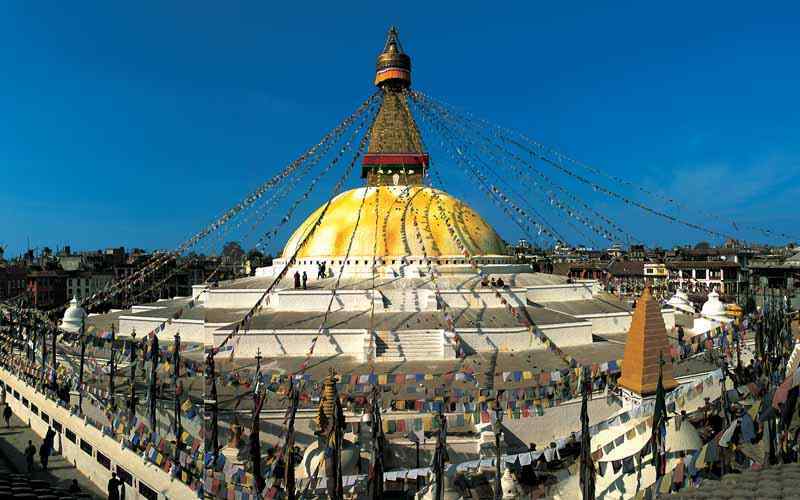 Day 02: Kathmandu Free day or City Sightseeing (pay Locally for sightseeing). Day 04: Trek to Lama Hotel (2,430m-7,972 ft) - 06 hours. Day 05: Trek to Langtang village (3,430 m-11,253 ft) - 06 hours. Day 06: Trek to Kyanjin (3, 749 m-12,300 ft) - 04 hours. Day 07: At Kyanjin Gompa rest day for short hike. Day 08: Trek to Ganja La Phedi (4,300m-14,108 ft) - 05 hrs. Day 09: Cross Ganja La pass (5,122 m-16,804 ft) descend to Keldang (4,250 m-13,944 ft) - 06 hrs. Day 10: Trek to Dukpu (4,080 m-13,386 ft) - 05 hrs. Day 11: Trek to Tarke Gyang (2,590 m-8,497 ft) - 05 hrs. 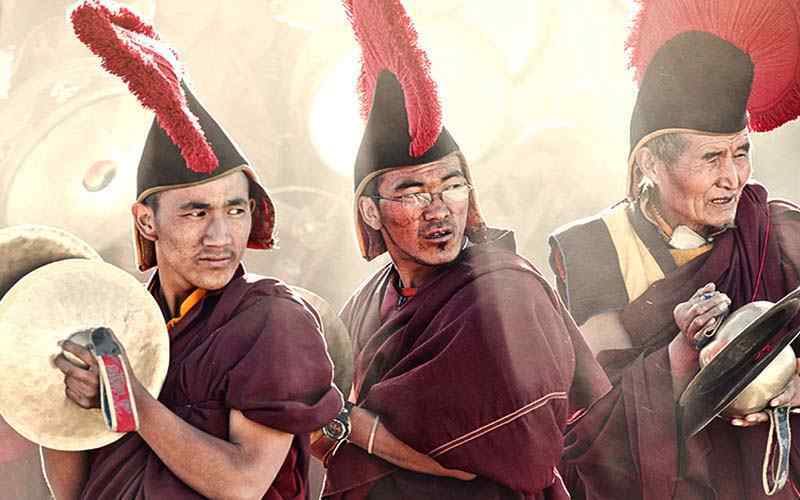 Day 12: Trek to Sermathang (2,610 m-8,562 ft) - 04 hours. Day 13: Trek to Malemchipul Bazaar and drive to Kathmandu - 06 hrs. 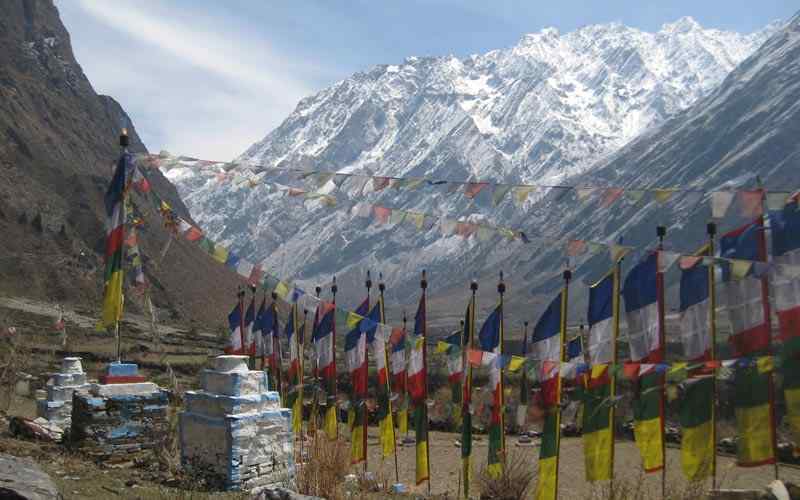 Start this magnificent Langtang valley trek in the morning with an interesting and scenic drive to Syabrubesi village. Head north through rural towns and farm villages on the winding hilly road with ups and downs to Trisuli Bazaar, a warm tropical climate area. From here drive towards a cooler region at entrance of Langtang National Park in Dhunche (1,965 m), the headquarter town of Langtang and of Rasuwa district and where this trek ends after a week time. Drive downhill on a winding road to reach the first overnight stop in Syabrubesi village, quite a large place with many lodges and shops. At present many of the houses have been destroyed by the earthquake of April 25th 2015. Morning begins with first day walk of this wonderful journey. Leave Syabrubesi to cross over upper Trisuli River. Make an uphill climb for few hours through farm fields and terraces. The walk gets better once the climb reaches a river side where the trail from Thulo Syabru meets ( our on wards route after few days). This small settlement has with 2-3 lodges. After nice break continue the walk with the last uphill through cool shade of forest with rhododendron, oaks and pines trees and enter a river gorge to reach Lama Hotel in a clearing in the middle of forest with 6-7 lodges for overnight stop after a good first day walk. Temperature is cooler in the shade of forest surrounding, Perhaps spot the rare and elusive Red Panda and other wildlife. The walk follows the river in a gorge with thick forest, passes a few small settlements and farms and then reaches a nice place at Ghoretabla meaning “Horse-Stable”. In early days this place was a horse breeding area. 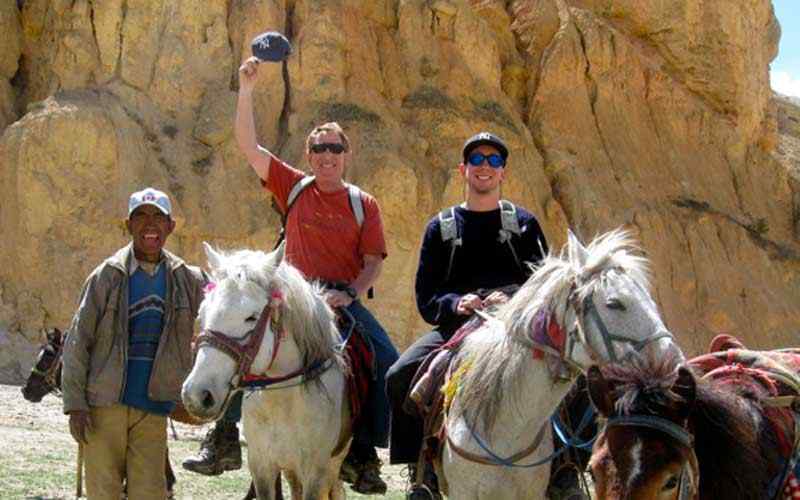 Horses are of Tibetan pony breed, smaller but strong and sure footed to survive on high terrain and altitude, after a nice break and lunch, afternoon walk to our overnight destination at Langtang village after a pleasant walk of three hours from here. Langtang village is a nice moderate size village with Bhotias and Tamang people, native of Langtang area settled here for hundreds years. (Langtang and Kyanjin villages was badly destroyed by the avalanche and landslide effect from the earthquake). 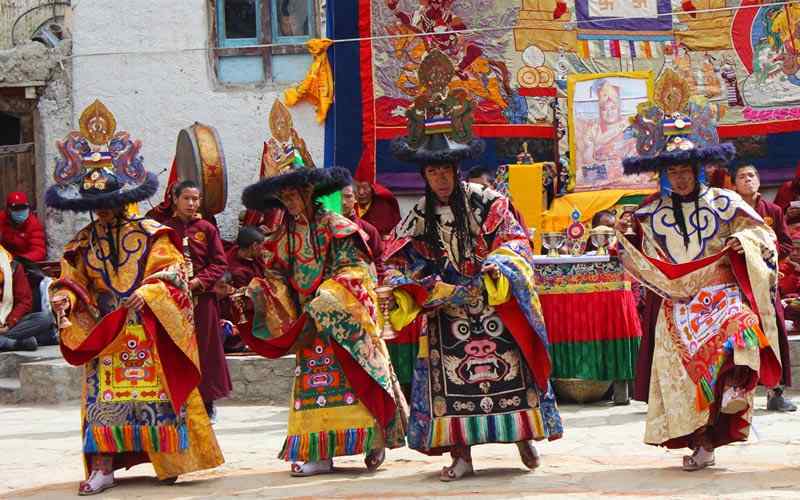 From Langtang village, make a short day walk to reach first destination of this adventure at Kyanjin The morning walk follows a short steep hill where the tree lines disappears and short bushes of rhododendron, juniper and prickly Burberry bushes appear. 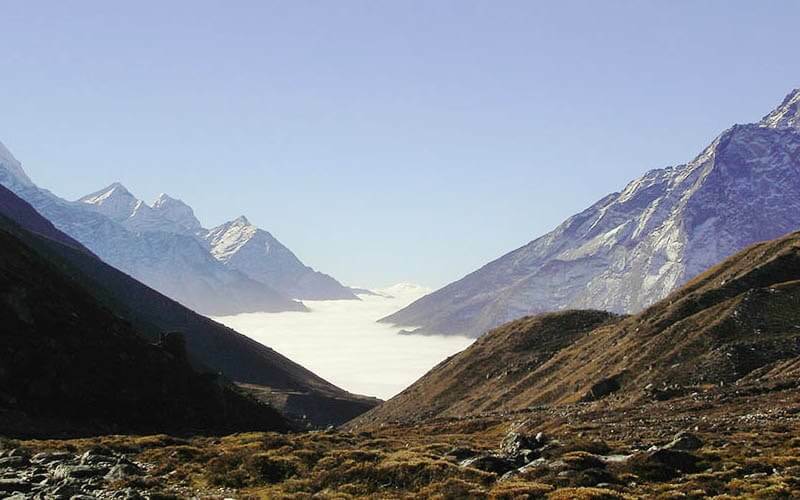 Walk enters a wide path and the valley opens up with awesome views of surrounding landscapes with high hills and snow capped mountains looking over Dorji Lakpa, Langtang Lirung, Tsego ri, Langshisa and Naya Kanga / Ganja la peak. 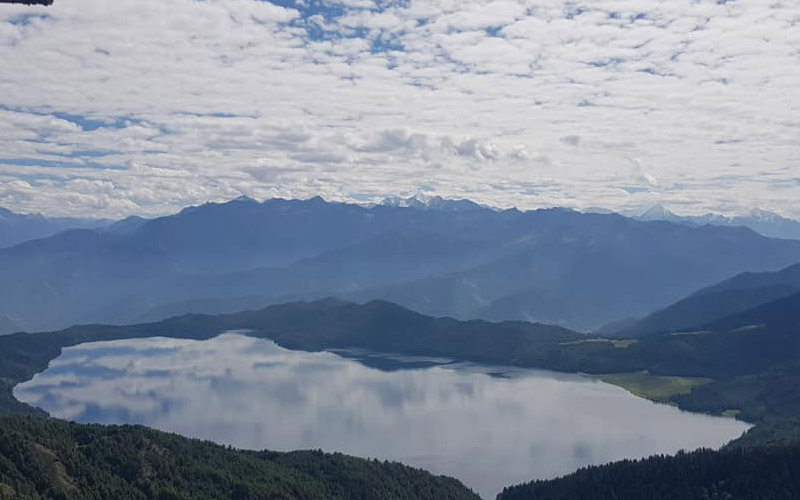 With a rest day at Kyanjin, interested people have the option to hike up to a hill top Tsergo Ri at 5,533 m-18,153 ft, which offers a marvelous panorama looking over Chimsedang Lekh, and Kangjal Himal, a ridge full of peaks that borders the valley towards south with Naya Kanga (5,844 m-19,173 ft), and stunning views of mountains flanking the Langtang valley, includes Ganchenpo (6,387 m-20955 ft), Dorje Lakpa (6,990 m-22,933 ft), Pemthang Karpo Ri (6,830 m-22,408 ft), Langtang Lirung (7,245 m-23,770 ft) and across the northern boundary in Tibet rises the huge massive Shishapangma (8,046 m-26,398 ft) the last 14th world’s highest mountain. The morning walk heads towards Langtang Khola (upper stream) with awesome views of surrounding peaks. 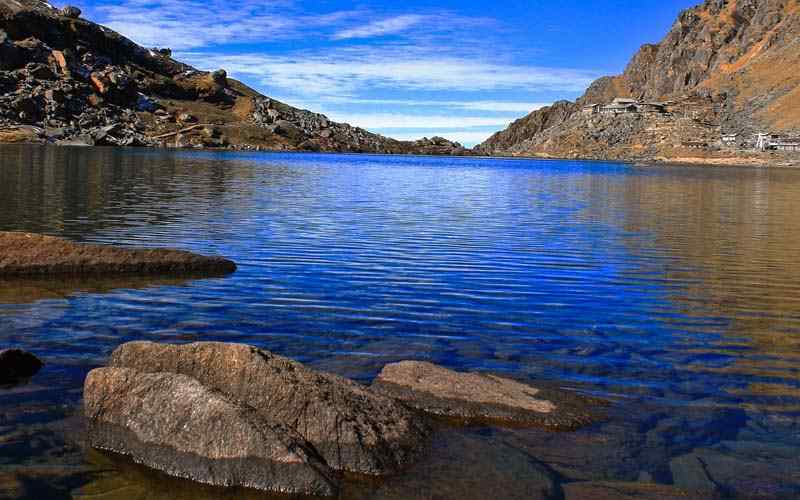 After crossing the icy streams climb up a steep uphill through the cool shade of rhododendron, birch and pine tree forest to reach a flat even meadow at Phedi, base of Ganja La and Nayakanga peak for overnight with 1st camping facilities of this adventure. In the afternoon explore this unique wilderness area of summer pasture and grazing fields for Yaks and other animals Our guides will scout and check the pass for next day’s crossing and make the route accessible fixing ropes where necessary for a safe climb and descent. Starting early morning before dawn, climb towards Ganja La ridge pass which is quite a challenge to traverse over this pass in snow condition, the sun hardly reach around this hidden area blocked by Nayakanga / Ganjala peak. As this area is quite hard and challenging only some adventurous trekkers use this route with the guidance of strong expert local guides. Upon reaching the top festooned with prayer stones and flags, catch the awesome scenery and sunrise and then make a long descent on the steep icy slope with the help of ropes to reach our overnight camp at a small place of Keldang Kharka in the middle of complete wilderness with few small frozen ponds around. After a tiring and great adventure crossing Ganja-la, this morning’s walk is much easier, heading towards the Helambu area which is another and eastern extension of Langtang region. From this place onwards regarded as Helambu area, walk across several summer pasture and grazing land of Helambu villagers. Continue with a descent following a ridge line, and then have a good walk with few ups and downs reaching a small settlement for overnight camp at Dukpu a temporary Sheppard’s settlement and a summer grazing land. After being in complete wilderness, the morning walk leads to a nice and charming village at Helambu in Tarke Gyang. 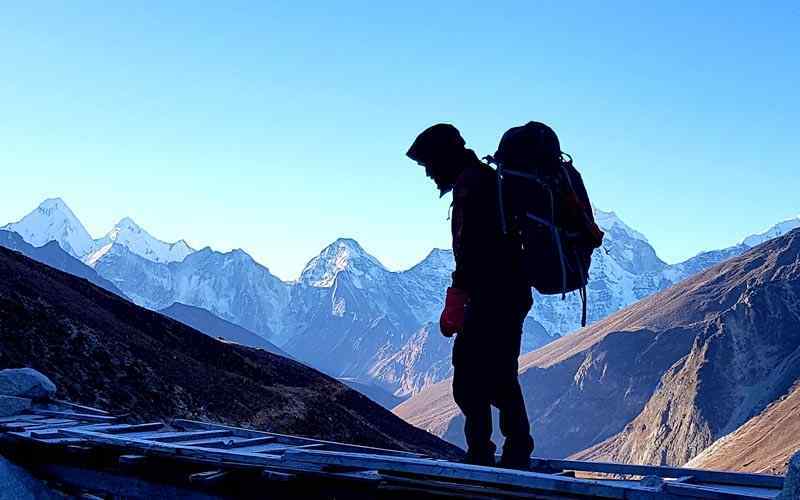 Walk first leads to a gentle downhill and then up to a small pass at an altitude of 4,100 m-13,451 ft, a vantage point for stunning views looking at Ganesh, Langtang and Jugal Himal mountain range including Mt. Everest which can be seen on a clear fine day in the far east horizon. 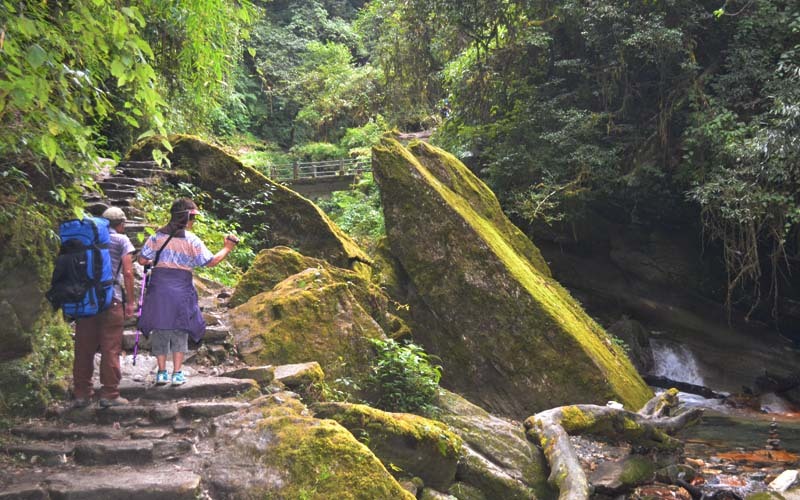 From this scenic spot walk heads downhill through forest of pines and rhododendron trees to reach at Helambu’s main village for overnight stop in Tarke Gyang with ample time in the afternoon to explore an old Buddhist monastery of this area. A slow and steady walk brings an end of this amazing adventure as walk leads downhill and towards beautiful forests, walk continues, passing many chortens and summer meadows to reach Gangyul, a small village. The path continues with wonderful views of green rolling hills and natural vegetation to reach Shermathang for overnight stop. Shermathang is another pretty Hyalmo village around Helambu area. Visit another old monastery. After a wonderful time in the high mountains and valley and crossing high pass, today this wonderful adventure concludes with a drive to Kathmandu. The first walk begins with an easy descent through warmer area as the trail leads to lower country to the village of Kakani. 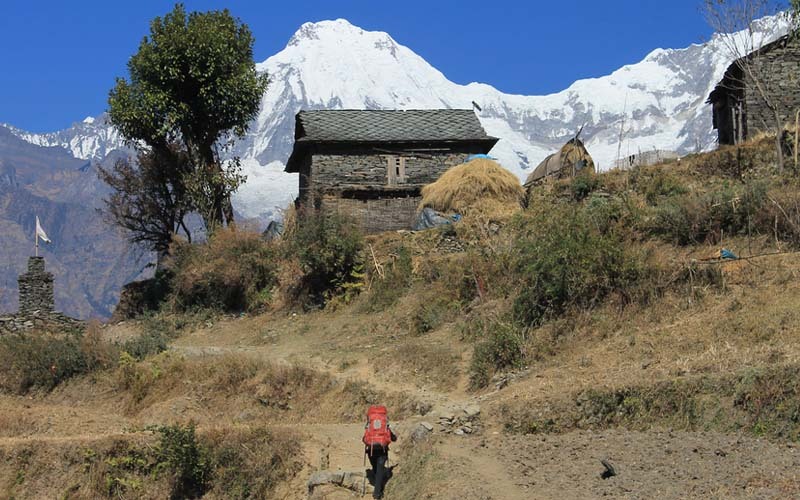 Walk continues on the downhill path to Melamchipul where this trek comes to an end. From here have an interesting drive of five hours back to the hustle bustle of city life in Kathmandu. Upon reaching Kathmandu, check into respective hotels after a wonderful time in the high hills of Himalaya. Free day in kathmandu for own activities. Today your last day in Nepal with great memories, amazing experience, transfer to Tribhuvan International airport for final departure towards homeward bound or to next port of call. All types of drinks (such as Hot & cold, Mineral water and alcoholic drinks).